The Baxi 230 Heat boiler is the lightest boiler in the UK. Why is weight important? It makes it much easier to install and service which saves you time and money. 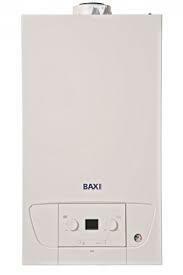 This boiler is one of Baxi’s newest regular boilers, is condensing and mounts neatly to your wall. As with all regular gas boilers, it heats your central heating system directly and also produces hot water for your cylinder. You will need a hot water cylinder which is often fed by a cold water storage tank located in your attic, this boiler type is not suitable for those smaller properties where space may be limited. This boiler comes with a variety of sought after features and benefits you’d expect from an industry leading brand. First off, it’s very efficient coming in at 89.1% making the unit a B rated boiler. As mentioned above, this particular model has an output of 30kW which is more than enough for most medium sized homes, and the highest output of this range. The convenience continues, as no matter where you need your flue this boiler has you covered as it includes a wide choice of flue lengths, bends and accessories. This boiler also features and 5 year warranty as standard, so you can be sure the boiler wont let you down.